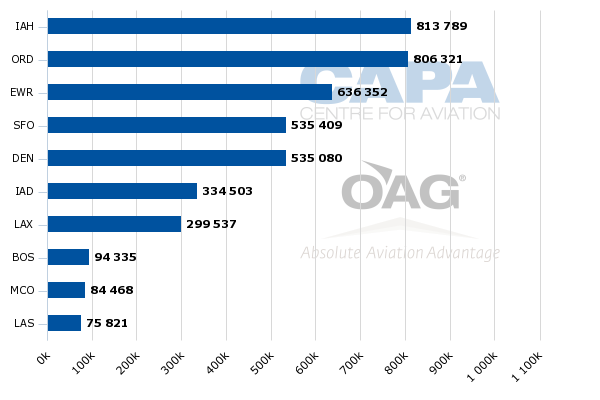 US airline 2Q2015 unit revenues sink as capacity continues to creep up. The cycle returns? The largest US airlines have revised 2Q2015 passenger unit revenue projections downwards, driven by the country’s negative GDP growth in 1Q2015 and general pricing pressure rippling through the domestic market. 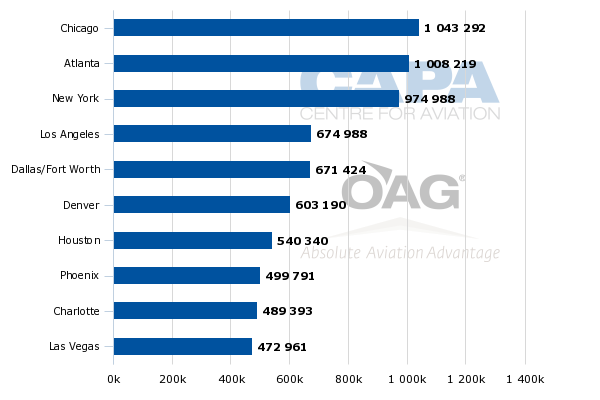 Sagging unit revenue forecasts have resulted in most of those airlines stating that they intend to re-examine their capacity growth during 4Q2015 in an attempt to steer PRASM into positive territory. Those airlines seem to realise that unit revenue growth is important to continue margin expansion over the mid to long term. Two markets that appear to be undergoing the most severe pricing pressure are Dallas and Chicago, where American and Southwest seem locked in a pricing battle. The lowered fares in Chicago are creating some headwinds for United, which also has a hub at Chicago O’Hare. American, Delta and United have all recently stated that their passenger unit revenue declines for 2Q2015 will be larger than originally forecast, driven by weaker yields in the domestic market, which has generally been robust for those airlines during the last year. 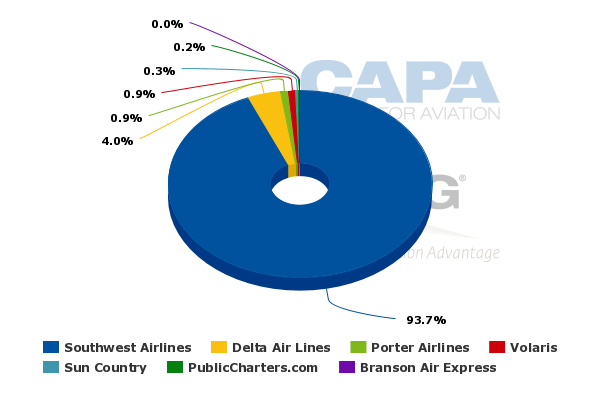 Those three airlines, along with Southwest, control roughly 83% of US domestic seats and approximately 82% of domestic ASMs. 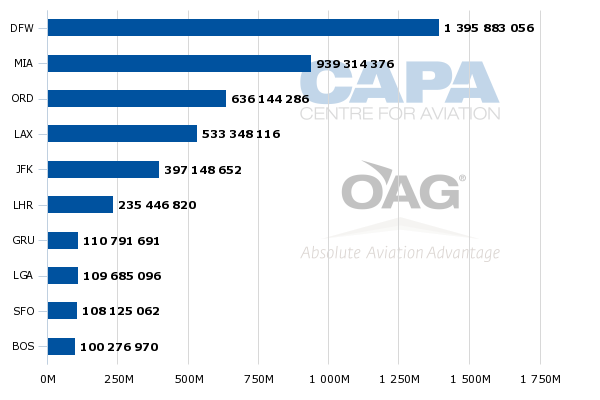 Most of those airlines are increasing capacity in 2Q2015 driven by what they deem as efficient, margin boosting growth including aircraft upgauge and various projects underway to densify jets. Southwest is forecasting a 7% increase, Delta is planning a 3% rise, United is projecting 2.5% to 3.5% growth and American plans a 2% increase. Delta cited lower than expected yields on close-in bookings for business travel, and United also pointed to softer close-in domestic bookings and a continued weakness in oil related corporate accounts. During 1Q2015 United estimated that corporate revenues generated by its oil sector clients fell 20% year-on-year. Houston, whose economy is heavily dependent on the energy sector, is a key region in United’s network. 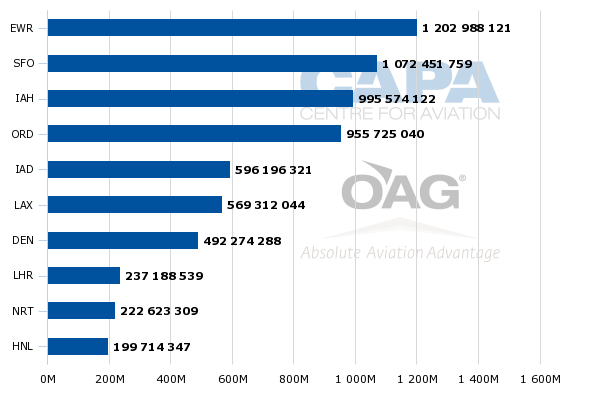 Houston Intercontinental is the airline’s largest hub measured by seats and third largest in ASM deployment. Southwest also cited pressure on close-in bookings, and projects its 2Q2015 passenger unit revenues should fall between 4% and 5%. It seems as if pronouncements by some US airlines that capacity is starting to outstrip what is still strong demand are coming to fruition, reflected by the solid drop in unit revenue forecasts. Many factors are driving a soft pricing environment in the US market place. The US economy recorded negative 0.7% GDP growth in 1Q2015, and the current capacity growth is also affecting pricing traction within the market. American has come under particular pressure from Southwest Airlines in the Dallas market after Southwest began making a massive push from Dallas Love Field in late 2014 after the dissolution of the Wright Amendment prohibiting certain long-haul flights from the airport. American has matched Southwest’s pricing, and has concluded that there is a new supply equilibrium in Dallas. With the capacity increases, pricing traction in Dallas may continue to be challenged. Dallas/Fort Worth is American’s largest hub measured by both seats and ASMs. 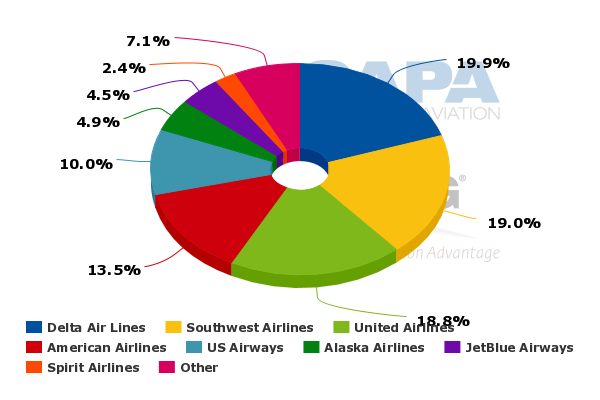 United Airlines also recently highlighted some pricing pressure in the Chicago market, where American, which is the second largest airline at O’Hare (measured by seats and ASMs), is matching Southwest’s pricing at Chicago Midway. (Southwest’s is Midway’s largest airline, and Midway is its largest base measured by seats and ASMs). United chief revenue officer Jim Compton remarked that the airline has to make decisions on a micro level to compete with respect to pricing in certain markets. 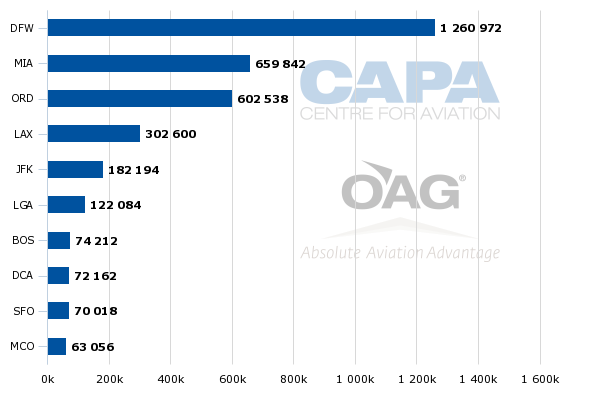 Based on data from CAPA and OAG for the week of 8-Jun-2015 to 14-Jun-2015, the Chicago and Dallas markets are the first and fifth largest markets in the US based in system arrivals, so pricing pressure in two large markets will have some ripple effect throughout the domestic system. Delta recently concluded that pricing in Dallas is at a lower point than other US markets, “and, as a result, that’s caused some knock-on effects in other US market places,” said company president Ed Bastian. However, he stressed that the weakness within the US market was not due to sagging demand, “people are traveling”, said Mr Bastian. Delta is evaluating changes to its projected 2% domestic capacity growth in 4Q2014 “to allow those returns on unit revenue to improve”, said Mr Bastian. United has already refined its system capacity growth for 2015 to 1% to 2% from 1.5% to 2.5%, and its management has also indicated that it is examining domestic capacity projections. Southwest also recently declared that weaker than expected economic growth is resulting in the airline evaluating its 2016 capacity plans, and it presently plans to cap growth at 6% for the year. 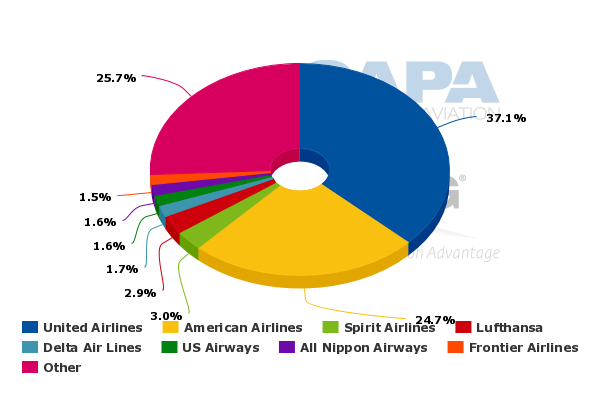 The large US airlines seemed to be mixed on the timing of a rebound in passenger unit revenues. Mr Bastian has concluded that Delta should “get our unit revenues back on a positive trajectory by the end of this current year”. But American, which has more exposure to the regions with the highest levels of pricing pressure, has concluded that 2016 capacity growth levels appear to be mirroring 2015’s increases. The company’s CFO Derek Kerr recently stated that it remains to be seen if the industry will reach a positive PRASM environment in 2016. Mr Bastian stressed Delta was sensitive to and focused on its unit revenue, and the airline realises it needs to get that metric “back on a positive trajectory to support growing margins out into the future. However, he also recently told the Wall Street Journal that Delta’s margins for the high summer season will be at historic levels, and that is what investors should focus their attention on. Even as pricing traction runs the risk of growing weaker, most US airlines will post strong profits in 2015 despite a weak unit revenue performance. 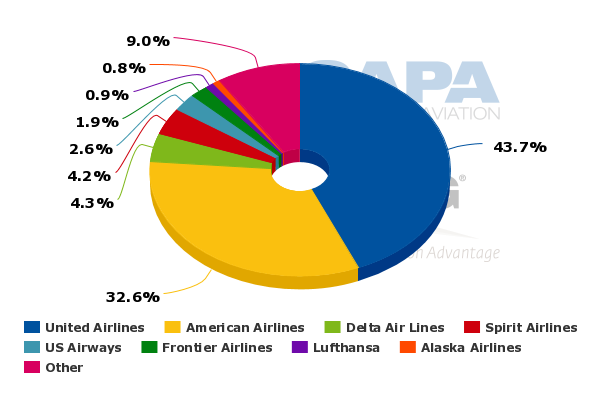 IATA recently declared that North American airlines should collectively generate USD15.7 billion in profits during 2015. However, some of the profitability and margin growth is driven by lower fuel prices. US airlines generally seem to understand that a negative PRASM environment is not a viable option for an extended period of time, yet the pricing pressure seems to be lingering throughout 2015. Any time that capacity trends upward while unit revenues decline is a cause for concern, especially when US airlines are stressing that underlying demand remains strong. They are clearly prepared to temper their capacity growth, which is the right decision given that some investors are spooked that the recent uptick is a sign of eroding capacity discipline. US airlines in particular are all too aware that they are being scrutinised by long-time and new investors alike to determine if this new era of stability is a permanent fixture. Trimming capacity targets would send a message that they remain focused on delivering consistent returns while maintaining a rational approach to their business.